Food is a very important trip-ingredient for any of us at Bali Food Safari, Go figure! Ubud is, next to Seminyak, one of Bali’s culinary hotspots on the island. With so many yogi’s and soul searchers basing themselves in Ubud, the town rapidity developed as a food haven for vegan foodies and healthy clean eating lovers. Even if you’re not into eating plant based, you will love trying out all the vegan dishes that don’t fall short of any meat dish. We can highly recommend trying out the Moksa sampler with 6 very tasty dishes at Moksa restaurant. Other restaurants that charmed us are Sari Organik which is a great rice field walk out of Ubud and it offers stunning views over the rice paddies. You will find a more local vibe and menu at Sari Organik in comparison to Moksa. 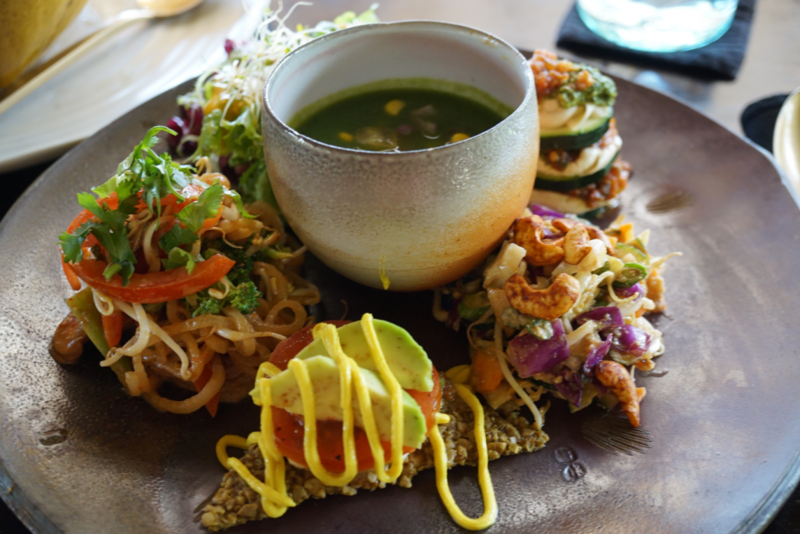 Another favorite vegan restaurant is Zest Ubud. Zest just opened her doors in February 2018 and has in our opinion already proven its success. Their menu is powered by plants and seems endless! With so much to choose from we’d say: choose one of the wok salads, you can’t go wrong with any of them! If you’re into seeing some of Ubuds beautiful surroundings we recommend the Camphuan Ridge walk. The nice thing about the Camphuan Ridge walk is that you walk a paved path along grass fields, rice paddies and jungle areas. It’s a relatively easy walk of about 2km one way or, if you’d like to extend your walk, 8km when adding a visit to Bangkiam Sidem and following the path to make it a full circle hike. The best timing for this walk is early morning before the sun reaches its highest. If you’re looking for a great way to spend your night in Ubud we suggest visiting the pyramids of Chi which are a ten-minute taxi drive or motorbike ride out of the city center of Ubud. Most evenings there are sound healing sessions in either the sun pyramid or the moon pyramid. The sounds of digeridoo’s, gongs and drums bounce off the walls of the pyramids releasing a relaxing vibration. Check out the website of the Pyramids of Chi to find out if there are any special events going on during your stay. Usually, around full moon there are special editions of the sound healing sessions. Also, if you prefer to visit the pyramids during the day, there are daily sessions in both morning and afternoon. Half an hour drive northeast of Ubud you’ll find the village Tampak Siring. Tampak Siring is worth your time for visiting the Tirta Empul temple. Of all the temples that Bali has, Tirta Empul is one out of three temples that you must visit even if you’re not into temples at all. The temple is well known for its holy sping water. You can only enter the temple wearing a sarong covering your knees. The Balinese visit Tampak Siring to cleanse them which is an interesting ritual to witness. Looking for some fine dining? Restaurant Locavore is exactly what you are looking for! On the menu, you find exclusive dishes all cooked from local produce with modern European cooking techniques. You choose either a 5- or 7-course meal and a regular menu or vegetarian menu. The time and effort that goes into preparing the dishes reflect their presentation and taste, you won’t regret it! Nightlife in Ubud is scarce but if you’re into having a fun night out and shaking your booty then café Havana is where it’s at. Salsa lovers can eat their hearts out with a live band playing them Latin beats. Even solo travelers are well off as the staff likes dancing very much as well. The best souvenir you can take home are the authentic Balinese dishes. Get insight in the local cooking techniques, ingredients and dishes so you can easily create them at home to take you back to the wonderful time you had in Bali. 8. Join a yoga class and go ecstatic dancing! If you’re into yoga then you probably have come across the yoga barn. 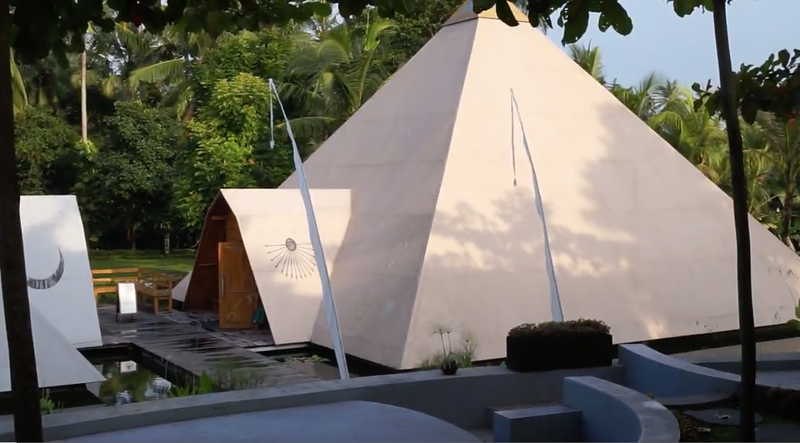 Any yogi visiting Ubud has visited or at least heard of this popular yoga center. Every Friday the yoga barn organizes ecstatic dancing. Ecstatic dancing is a way to express yourself through movement. No talking allowed. You move on drum beats and let your body flow however it wants to flow and release any feelings, thoughts or emotions that need to be let go of. With freedom of expression comes inner peace they say. The fun part is, is that no alcohol is allowed. The fact that you have to stand 2 – 2,5 hours in line to buy a pre-registered ticket shows the popularity of this weekly event. If you’re keen to try, make sure to be on time to get your tickets. In search of boosting your Instagram feed? If you’re planning on visiting Ubud and you have searched Instagram for inspiration on what to do, you have for sure found the beautiful and adventurous pictures of people swinging at waterfalls, jungle and rice paddies. Are you keen to get one of those ‘most wanted photo’s’? There are several tours you can book. Be aware though, these sights are super popular and waiting in line for several hours till it’s your turn is the norm. 10. Walk the beaten path, because it’s worth it! The main tourist attractions in Ubud are definitely worth your while. Monkey Forrest, the Batun temple, the Ubud market and the beautiful rice paddies surrounding Ubud are easily visited in one day. 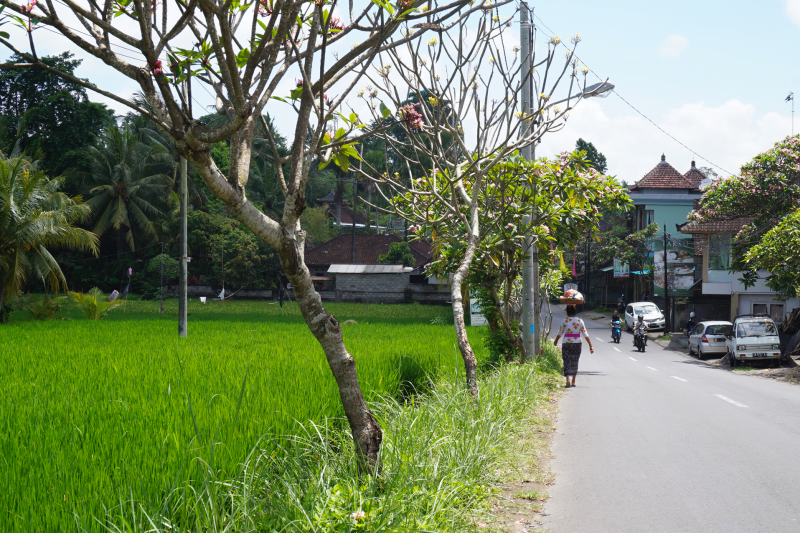 If you are not afraid of traffic, we suggest renting a scooter and scooting around to get a good vibe of Ubud and its sights. If you like to kick back and relax, these awesome tours will give you a great experience of the Ubud attractions that are visited by most. We have to give you this foodie bonus! Are you visiting Bali in April? Boy, you are in luck! In 2019 the Ubud food festival is scheduled for 26 – 28 April and underlines the culinary reputation of this town. This culinary event celebrates Indonesia’s divers’ cuisine and respectable gastronomic scene. Over the course of 3 days, you will enjoy cooking demonstrations, workshops, masterclasses, special (free) events and a lot of yummy food! 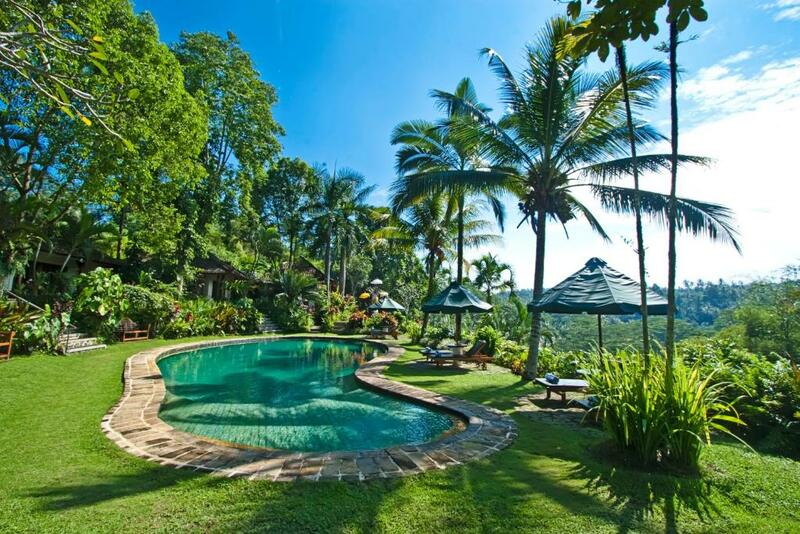 Best places to stay in Ubud you ask, well this village is bombarded with fantastic hotels, villa’s and guest houses. There is so much offer that it can be overwhelming. 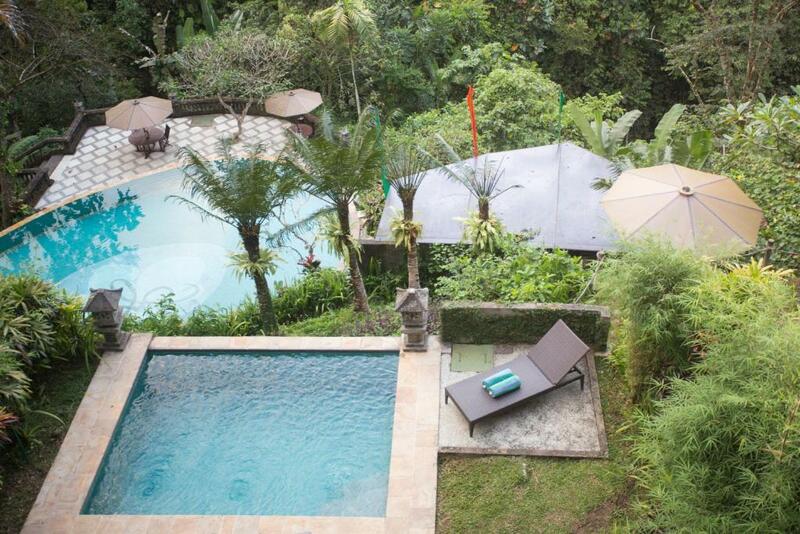 Therefore we have selected our favorite Ubud accommodations for you. Out of the center of Ubud lies Alam Sari Keliki hotel. That its location is far out is one of its charms. It’s less crowded than the Ubud accommodations you find near the centre of town and that makes that you will have a peaceful stay. Alam Sari offers a shuttle service which makes it easy for you to get into town and visit all the highlights of Ubud. The rooms are super comfortable and make you feel right at home. 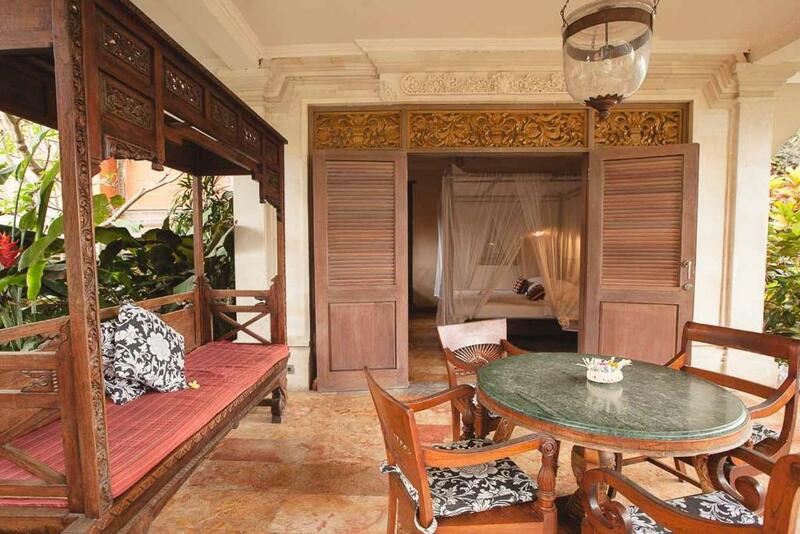 If you’re looking for something more in town with a great Balinese atmosphere we recommend a stay in Honeymoon guesthouse. Hidden behind Jl. Monkey Forrest road it is right in town and still in a quiet and peaceful area. The rooms have a romantic vibe which makes it a great stay for couples. You may expect a resort stay for affordable prices when choosing Anahata villas. A bit out of town but with stunning views you find really well-decorated villas and hotel rooms. The food at the hotel is great and with a shuttle service driving you to the centre this might be the best stay for people who like nature, peace, and quiet. We bet you’re staying in one of the beach towns after your stay in Ubud. If you do and you’re quite the foodie, may we suggest our awesome food tours? 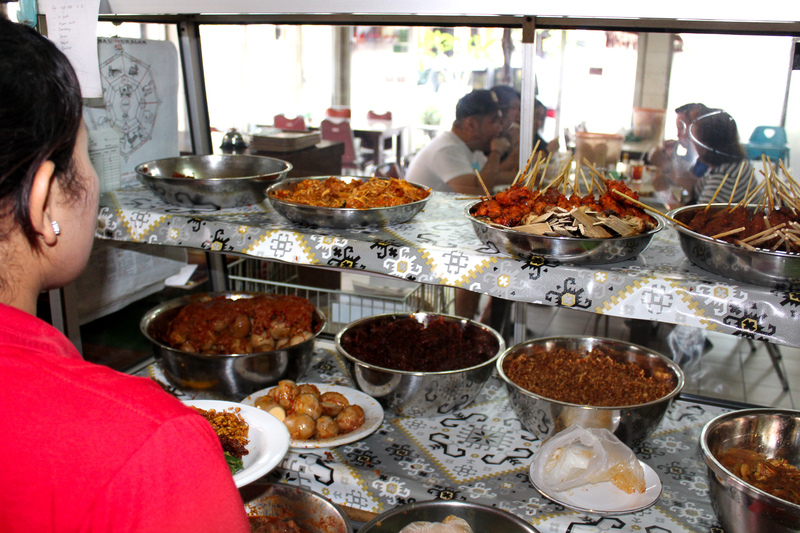 Every streetfood lover is nuts about our Bali street food tour. If you’re more into fine dining, check out our Seminayk tours which include the best restaurants in Seminyak and our Jimbaran tour. We are pretty sure you won’t be disappointed. Check out all our food tours Bali!